Drivers are being warned that using a dash cam in some European countries such as Austria and Portugal could lead to huge fines. 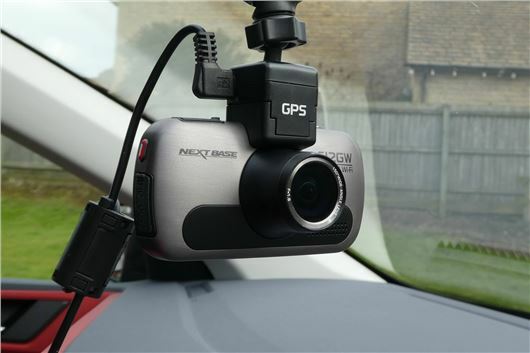 While dash cams are becoming ever more popular with UK drivers as a way of providing evidence in the event of an accident or incident - they are in fact banned in some countries. In Austria, it is illegal to own, let alone use, a dash cam and even first time offenders can be hit with a huge fine of €10,000. Get caught again and it is a €25,000 penalty. And while you can use a dash cam in Spain, cross the border to Portugal and there are restrictions on how you can use the footage. Head to Luxembourg and while it is legal to own a dash cam, you cannot use one. Fortunately, many countries, like the UK have no restrictions. These include, Spain, Sweden, Holland, Denmark, Bosnia and Herzegovina, Serbia and Malta. Others countries have certain restrictions. So for instance in Belgium and France you can use a dash cam but it is only for private use. So you can't simply just share footage (on Youtube or Facebook for example) unless you ask those who are being filmed. Dash cams are legal in Germany, and like the UK and France, they must not be placed anywhere that obstructs the driver's view. But due to the German privacy laws, faces and number plates must be obscured if footage is being shared publicly. And as you might expect, the most confusing law on dash cams is saved for Switzerland. Although they are technically legal to own and use, Swiss data protection laws mean you'll be hard pressed to actually use the footage in any capacity. For starters they can't be used for documenting a journey, Swiss law says there needs to be a legal purpose behind the recording. And it also needs to be obvious to the people being filmed that they are being recorded. We should ban them in the UK. You wouldn’t be saying they should be banned in UK if you had one and it had provided the crucial evidence you needed to show that it was the other driver at fault - would you? Never heard this before as it is made illegal to drive without one in Latvia as half the cars here are made in England you cant drive them without camera fixed properly on dash for over taking. New law passed this winter past allowed my Rover to be used here to my joy. Estonian man took it to Holland courts and won we can drive right hand cars in Europe. Latvia would not honour it for another 4 years as all things here take far longer to work in the heads and minds of those who run Government. Bought five Blackhawk helicopters to turn on the public at election time but have no cash to repair roads.You know as you have been here roads are sand based pot holed and all over Latvia. My recollection of Latvia from two years ago was indeed that the roads are in a poor state but also that with EU funding the motorway express system is working its way across into eastern Europe such that much of Poland now has fine motorways with considerable motorway construction now in Lithuania. Latvia and Estonia will in time be connected such that there will be a continuous motorway system right across the EU from western Europe right across to eastern Europe and beyond. As yet I have had no problems with my headcam recording journeys anwhere in Europe and this is far more obvious to see than those inside a car. Should be ok to own and use in the UK, but strictly for private use only. On no account should dashcam footage be used by the Police or authorities to prosecute other drivers. Only the dashcam operator and insurance companies should use the footage to ascertain blame in an accident. Unfortunately, we are becoming a nation of spies where your every move or mistake can be recorded and used to punish you. We pay the Police to do just that, police, they should not use the public to do it for them. Cameras should only be used to protect people and property, not to dob people in for minor indiscretions. While I understand what you are saying, I assume you would want the police to use footage if a passing car with a dashcam captured someone stealing your car, breaking into your home or snatching you child? Have you not heard of citizen's arrest? No such thing I believe Urban myth. It would be interesting to know the reasoning behind why dash cams are banned in some countries when there are obvious benefits (accident investigation and reporting dangerous driving to the Police). I'm guessing that all photographing in public is subject to similar restrictions. No, in the UK you may take whatever photographs you like for your own private use*, provided you are standing in a public place - even if the photograph will show private premises. Of course, you may find yourself facing someone's wrath if you just blatantly point a camera at them in the street, but you are not breaking the law. Out of courtesy you should always be respectful of people's wishes. If you have taken a photograph that satisfies the above criterion, nobody - not even a security guard or police officer - has the right to confiscate your equipment or demand that you delete the photos, unless you are under arrest. * Certain official locations are excluded from this right, and I believe you may not photograph police officers. I am not a lawyer, so if necessary be sure that you verify this information. Oh well that blows my idea to have a speeded up journey from Kent down to Switzerland out of the water. I was going to use a GoPro Hero which isn't technically a dashcam. To be honest though I'll just hide it when I go through the border check. I think it won’t be long before a test case in the UK where someone sues a dashcam owner for recording them without their knowledge or permission. There’s probably an EU law against it. Not sure what will happen after Brexit though. The only way I can see that they can do that is to ban recording of people in public (without expressed permission) outright. They aren’t going to do that because it doesn’t make sense. In the U.K., you can film whatever you want, as long as it’s clearly visible from a public place. You can’t film on private property without permission. If someone is going to drive badly and cause an accident, they deserve to be punished. It is perfectly legal to take photographs or anything or anyone in a public place in the UK, albeit excepting specfic areas like military bases. The act of taking someone's photo in public is not illegal, posting it on Facebook with an innappropriate caption could fall foul of the law. The secret police or Stasi in the , now defunct GDR (East Germany), recruited ordinary citizens to spy and report on their neighbours. We in the UK are moving down that path with cameras everywhere and I include dash cameras. Now I use a dash cam, which has helped me claim when a lorry driver was adamant that I had run into the rear of him whilst in a queue. The footage from my camera proved that the lorry had indeed rolled back into me and the claim was settled in my favour almost immediately. However we have a developing situation where private, profit making organisations, are actively encouraging motorists to report their fellow drivers. Hence my reference to East Germany. I bemoan the demise of the old fashioned traffic officer, now virtually extinct, who had the experience and authority to exercise discretion or issue a ticked as they saw fit. Electronic devices monitored by self appointed quasi guardians of the road are a vastly inferior substitute. Furthermore the Police often take a dim view of so called Pedo Hunters who ensnare individuals who have made inappropriate contact with children via the internet. So to my mind it is somewhat hypocritical to use similar vigilante groups against the hapless motorist.Obviously if one witnesses an accident one has a duty to help the Police as far as possible but to spy ones fellow is another, more sinister matter entirely. I will close by mentioning private car parks monitored by electronic surveillance with a view to charging large sums of money for minor, and in some cases non existent infringements.Has it occurred to anyone that a vehicle registration does not have to be displayed unless on the highway or publicly owned land such as a local authority car park?. If you are doing nothing wrong and have nothing to hide, then the answer is simple......you have nothing to fear !! Of course it was extremely stupid of me to forget that the vast majority who comment have never made a mistake or inadvertently broken the speed limit. I humbly apologise to my betters. I am off to thrash myself with a birch twig as an act of penance. I wonder what this means for Subaru's Eyesight adaptive cruise control system. It uses twin cameras to maintain chosen distance to the vehicle in front but also records a fair amount of data in the event of an accident. As far as I know though, the driver cannot access it or publish anything from it but police could ask for it. If Austria doesn't like that, have they banned Subarus fitted with the system? Do they even know about it? I cannot find anything that says Subaru’s Eyesight system records and saves data. It is merely the stereoscopic optical sensor system that feeds the adaptive cruise control and is completely different from a dash cam system. In the UK we are permanently viewed by cameras and if a dash cam or an action cam shows evidence of a crime then legality should not be an issue. As many incidents in Russia, on the roads, show who is at fault it also should be encouraged, Else the UK and other countries are not addressing the potential detection of crime. Even the police ask, after an accident, if anyone has footage of the incident/ Crash for cash is discouraged if the crooks think you are recording them and if not then your insurance company is given the proof it was not your fault. Freedom has good and bad points. Not forgetting we will have no control of drones run by councils and emergency organisations who will be viewing. Also when a Police helicopter is hovering around they just have high resolution cameras which the people on the ground don't know where they are pointing it at. IF you are doing something, silly, stupid or illegal assume you are being caught on camera! I drive through Austria regularly. Is it okay to just disconnect the Dash Cam's power supply cable or do you have to remove the camera completely? Whilst not impossible to do the latter it is a bit of a pain. Ban them? No. But the use of the footage should (is?) only admissible as evidence in the case of an incident. Proof. Just for proof; of innocence *or* guilt! I have them, both with GPS (for registering speed), front and rear. Post footage online? No. We all make errors, and we all have the ability to be irresponsible when behind the wheel. I *have* had cause to show a clip to a police officer, and it was to prove that a woman was driving responsibly and (well) within the 40mph speed limit — she was doing 30 — when a schoolboy clipped handlebars with another and toppled from the cycleway and into the path of her car. She was severely distressed, obviously(! ), as he was trapped beneath the front valence of her car, and she’d had no chance to take avoiding action. With the help of other motorists, once the boy’s injuries — broken tooth and wrist — were established, we were able to slightly lift the front and moved her car rearward. Miraculously he received fairly minor trauma. Without the categoric evidence from my front camera the poor woman would’ve had to endure the further distress of being questioned by the officer, possibly at a police station. As it was, the incident was dealt with at the scene, although she had to call her husband to collect her and her (barely-damaged) car, as she was too shaken to continue her journey. I think dash cams are great and are invaluable in the event of an accident. The downside of most of these devices is that like sat navs and mobile phone holders, they stick to the windscreen using a stupid sucker mount. Many people slap these in a position which obstructs their field of view and they often fall off causing another uneccessary distraction. Although I think that most of the countries which ban these devices do so under privacy concerns, there are also hazards associated with distraction and poor installation. Given the scams out there related to "accidents" on our roads, I see good reason why people use dash cams. Interesting comments on "spying" etc and whether we can or cannot use photography and video in various countries, but what about all the CCTV usage that we now see amongst us - apparently in the name of security. However, much of it is operated within the private sector - unrelated to say, terrorism. The UK has the highest proportion of CCTV cameras in use IN THE WORLD - a camera for every 12 people and increasing. Now that's worrying. A dash cam is nothing more than a mobile cctv camera. Yet every cctv camera in the UK has to have a phone number you can call if you wish to see the footage. You legally have to be warned by signage if you are entering a cctv covered area. And they have to be registered under the data protection laws, including GDPR. And people who are the operators are strictly regulated. But not in car cctv systems. So why can an individual run their own mobile cctv system totally unregulated? They're handy for proving who's at fault, and I've even seen a few dashcam videos where they've caught out people trying to make fake claims (someone reversing a motorbike into a car in Nottingham or somewhere, then jumping on the ground feigning injury). But as amusing as the footage can be, everyone has a right to privacy from the one day they severely messed up judging the roundabout, lost their rag, or reversed their car into a shopping trolley. People shouldn't be so keen to put another's not so glorious moment on the Internet. I wonder what it means for people that buy expensive cars with dash cams factory fitted. Can they not drive them at all in Austria?